You can also find out what to do if you've been served with court documents. The Continuing Legal Education Society of BC (CLE) sells a wide range of publications on legal issues including family law, written for lawyers. 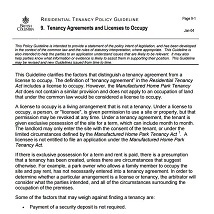 They are often legal technical and can be difficult to understand for non-lawyers. They do however provide a comprehensive guide and can help you with more complex issues once you have an understanding of the basics. A great resource for learning more about Supreme Court is the supreme court of BC website. 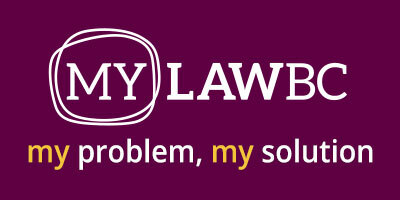 It has information about court forms, rules, fees and family law resources. Parents in Supreme Court regarding a child support order must be properly prepared to present their cases. 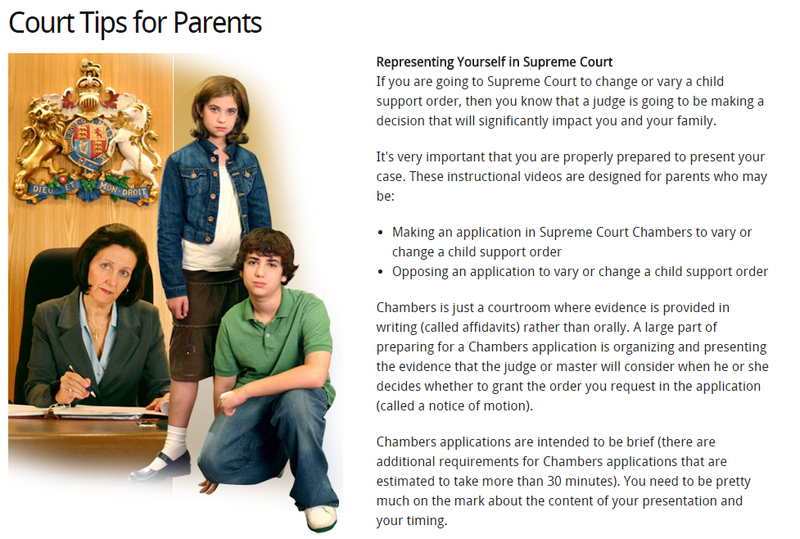 SupremeCourtBC.ca features seven instructional videos on this area of family law, including Presenting Your Case in Chambers, Avoiding the Pitfalls in Family Matters and What to Expect the Day of the Hearing. 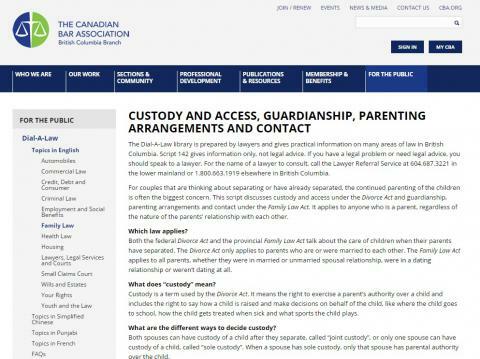 To learn more about how family cases in Provincial Court work visit the Provincial Court of BC website. Here you can find information on laws, court forms, rules, fees and family court resources. A site that allows users to search for Canadian federal and provincial legislation, case law, and some other decisions (for example, from tribunals). An online resource that helps to calculate how child support and spousal support is divided between you and your former spouse. In general the amounts calculated are similar to how the courts would assign support but may vary depending on your situation. Parenting After Separation is a free three-hour workshop for parents dealing with family break-up issues of child custody, access, guardianship and/or support. Topics include the impact of separation on children, decision-making and legal options. Depending on your location, you can attend an in person course or do it online. For more information on managing your finances see Parenting After Separation: Finances. It is a free online course that provides information and strategies about dealing with finances to separated parents. The People’s Law School provides legal information on a variety of topics, including family law, in plain language. Also offers free lunch time seminars on a range of legal content at their downtown Vancouver location. Check on their website for details on upcoming seminars. Mediation is a practical, affordable and confidential process to address conflicts within a family. In mediation, both sides try to resolve their differences with the help of a neutral mediator. Family Justice Counsellors (FJCs) are professionally trained family mediators, accredited by the BC Ministry of Justice and certified by Famliy Mediation Canada. The justice access centres are the place to come when you need help with family and civil law issues that affect your everyday life, such as separation or divorce, income security, employment, housing or debt. We have the information and services you need to find solutions to your problems. There are justice access centres in Nanaimo, Vancouver, and Victoria. Lawyer Referral Services enables the public to access lawyers practicing in the field of law required for the particular situation and provides the opportunity to have a consultation with a lawyer for a fee. Phone: (604) 687-3221 or toll free 1-800-663-1919. If you already have an agreement or order regarding children but are having disagreements about implementing them, a parenting coordinator can help. Parenting coordinators are professionals who can help you resolve day-to-day conflicts about parenting agreements or parenting orders. A family law arbitrator will make binding decisions to resolve family law issues out of court. Sometimes arbitrators will use a combination of arbitration and collaborative processes to help you come to your own agreement. The Society promotes access to justice in BC by providing and fostering quality pro bono legal services. Volunteer lawyers provide free legal assistance for those who cannot afford legal services. Lawyers do not represent clients in court but do give legal advice and help clients prepare for court appearances. In Vancouver call 604.878.7400, call toll free 1.877.762.6664. Courthouse Libraries BC provide in person and online legal information to the public at locations throughout BC. Librarians provide reference assistance, but do not provide legal advice. Visit your nearest location. Ask JES is an online chat service provided by the Justice Education Society in partnership with LSLAP. You can ask questions about family law and receive instant responses when Chat is live (weekdays from 11am to 2pm). During offline hours, users can submit their question plus their email address to receive an answer.